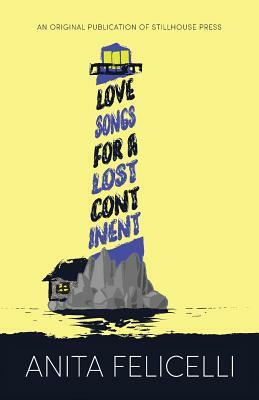 Anita Felicelli discusses her debut story collection, Love Songs for a Lost Continent with Peg Alford Pursell. Anita Felicelli’s debut collection delivers a dazzling array of precisely drawn characters searching for identity in the seemingly narrow spaces of their everyday lives. From the glittering heat of India to the palm-lined streets of Silicon Valley, the backwoods of Kentucky to the vanilla-bean fields of Madagascar, immigrants, daughters, and lovers explore what it means to lose and to love, to continually reinvent oneself while honoring the personal histories and lost continents that shape us all. "This is the book we needed to read yesterday... a book we will still be reading tomorrow." Availability: Not Available to Order. Call or email for used stock availability. Fiction. Hybrid Genre. Foreword Reviews 2017 Indies Finalist for Literary (Adult Fiction). Finalist and Honorable Mention in Fiction for the First Horizon Award.